The ascent via the southeast ridge begins with a trek to Base Camp at 5,380 m (17,700 ft) on the south side of Everest in Nepal. Expeditions usually fly into Lukla (2,860 m) from Kathmandu and pass through Namche Bazaar. 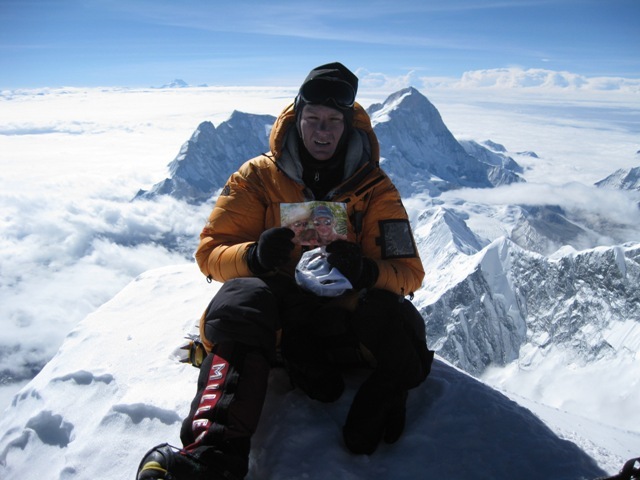 Climbers then hike to Base Camp, which usually takes eight to ten days, allowing for proper altitude acclimatization in order to prevent altitude sickness (AMS). Climbing equipment and supplies are carried by yaks, dzopkyos (yak hybrids) and human porters to Base Camp on the Khumbu Glacier. Many thanks to Alan Arnette (www.alanarnette.com) for the movie. Please take a moment to have a look at his excellent site. 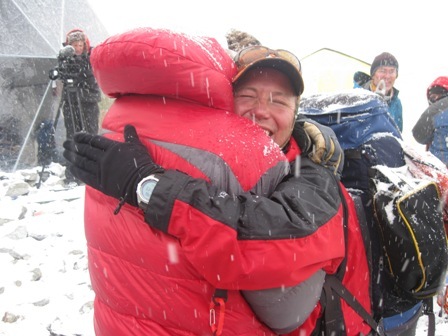 Climbers will then begin their time at Base Camp, acclimatizing to the altitude. 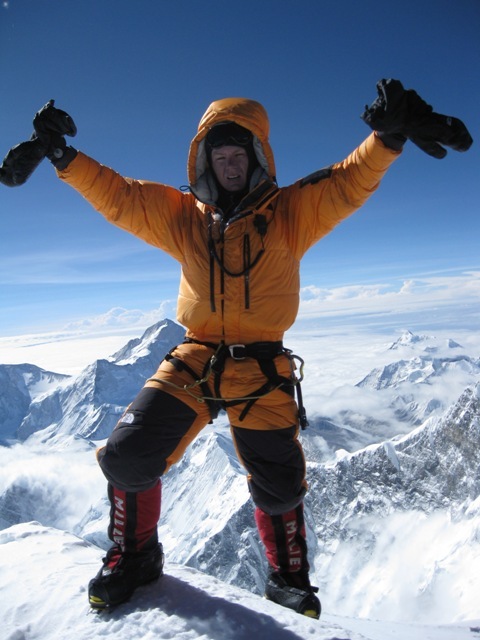 During that time, Sherpas and some expedition climbers will set up ropes and ladders in the treacherous Khumbu Icefall. Seracs, crevasses and shifting blocks of ice make the icefall one of the most dangerous sections of the route. 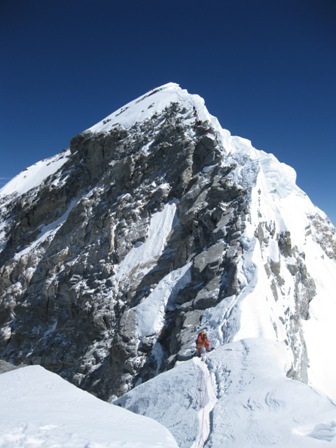 Many climbers and Sherpas have been killed in this section. To reduce the hazard, climbers will usually begin their ascent well before dawn when the freezing temperatures glue ice blocks in place. Above the icefall is Camp I at 6,065 metres (19,900 ft). From Camp I, climbers make their way up the Western Cwm to the base of the Lhotse face, where Camp II or Advanced Base Camp (ABC) is established at 6,500 m (21,300 ft). The Western Cwm is a relatively flat, gently rising glacial valley, marked by huge lateral crevasses in the centre which prevent direct access to the upper reaches of the Cwm. Climbers are forced to cross on the far right near the base of Nuptse to a small passageway known as the “Nuptse corner”. The Western Cwm is also called the “Valley of Silence” as the topography of the area generally cuts off wind from the climbing route. The high altitude and a clear, windless day can make the Western Cwm unbearably hot for climbers. From Camp IV, climbers will begin their summit push around 10pm with hopes of reaching the summit (still another 900 metres above) within 10 to 12 hours. 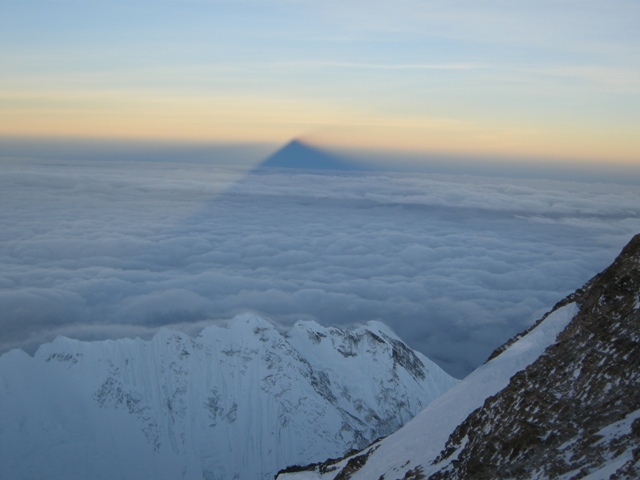 Climbers will first reach “The Balcony” at 8,400 m (27,600 ft), a small platform where they can rest and gaze at peaks to the south and east in the early dawn light. Continuing up the ridge, climbers are then faced with a series of imposing rock steps which usually forces them to the east into waist deep snow, a serious avalanche hazard. At 8,750 m (28,700 ft), a small table-sized dome of ice and snow marks the South Summit. From the South Summit, climbers follow the knife-edge southeast ridge along what is known as the “Cornice traverse” where snow clings to intermittent rock. This is the most exposed section of the climb as a misstep to the left would send one 2,400 m (8,000 ft) down the southwest face while to the immediate right is the 3,050 m (10,000 ft) Kangshung face. At the end of this traverse is an imposing 15m (45 ft) rock wall called the “Hillary Step” at 8,760 m (28,740 ft). Once above the step, it is a comparatively easy climb to the top on moderately angled snow slopes – though the exposure on the ridge is extreme especially while traversing very large cornices of snow. With increasing numbers of people climbing the mountain in recent years, the Step has frequently become a bottleneck, with climbers forced to wait significant amounts of time for their turn on the ropes, leading to problems in getting climbers efficiently up and down the mountain. After the Hillary Step, climbers also must traverse a very loose and rocky section that has a very large entanglement of fixed ropes that can be troublesome in bad weather. 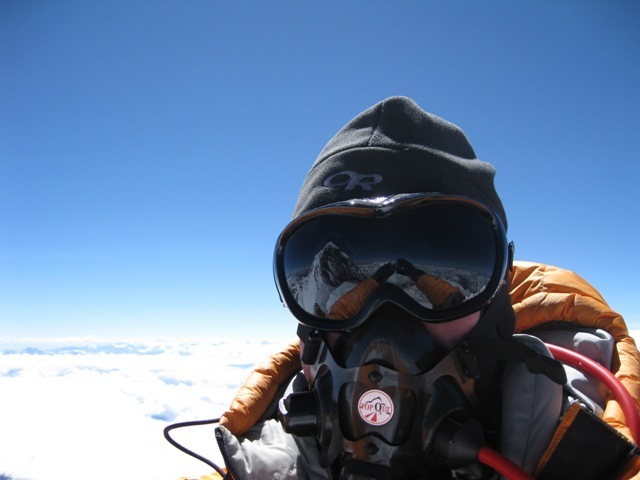 Climbers will typically spend less than a half-hour on the “top of the world” as they realize the need to descend to Camp IV before darkness sets in, afternoon weather becomes a serious problem, or supplemental oxygen tanks run out.